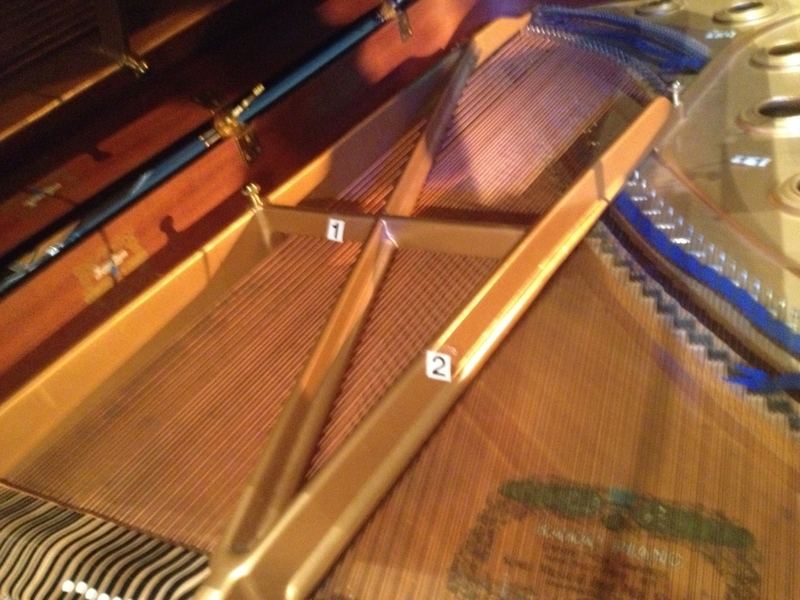 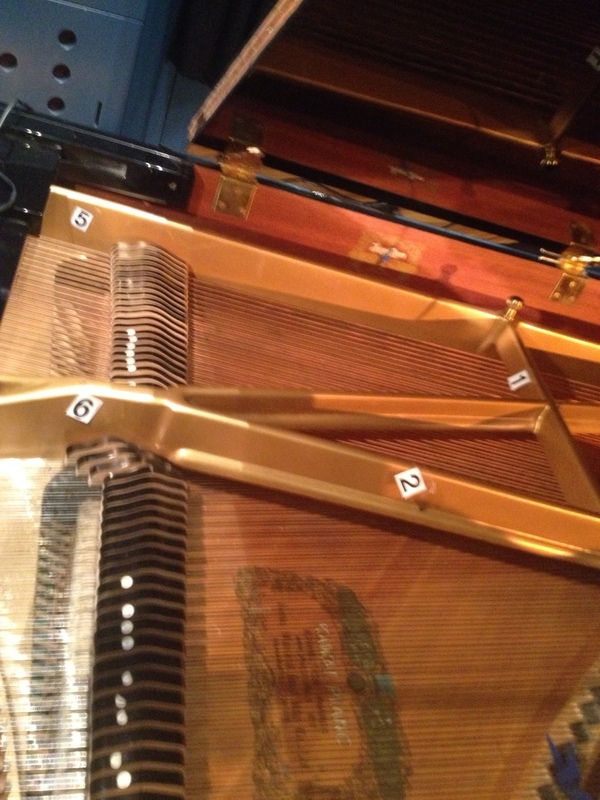 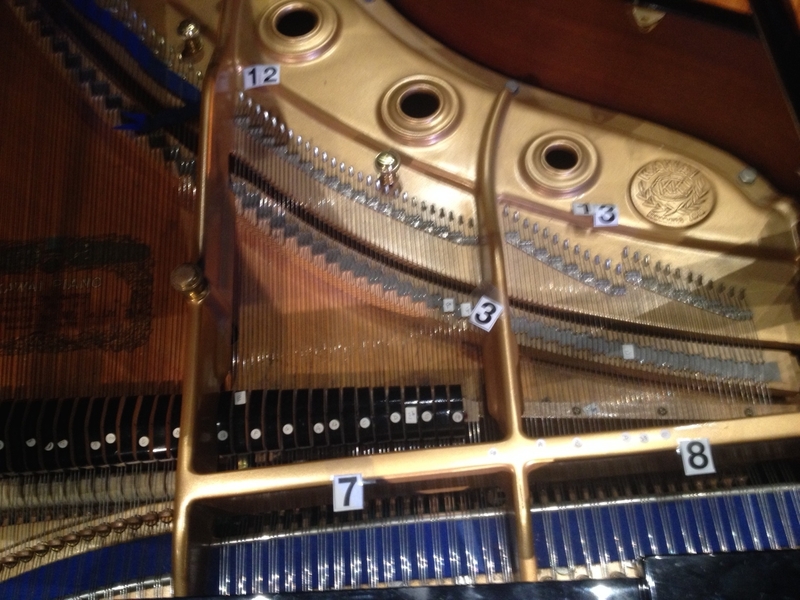 During a performance at the Music Now Symposium at the University of Western Sydney – performed by Tamara Anna Cislowska on the 30 August 2014 – we chose to use big numbers to help indicate where the zones on the piano are. 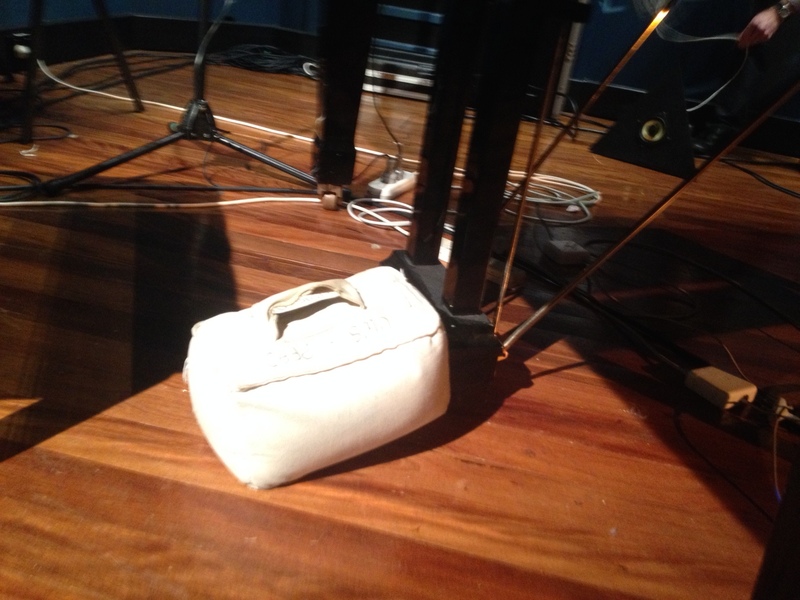 Here is an example of a weight being placed on the sustain pedal to provide sustain throughout the performance without having to use your foot. 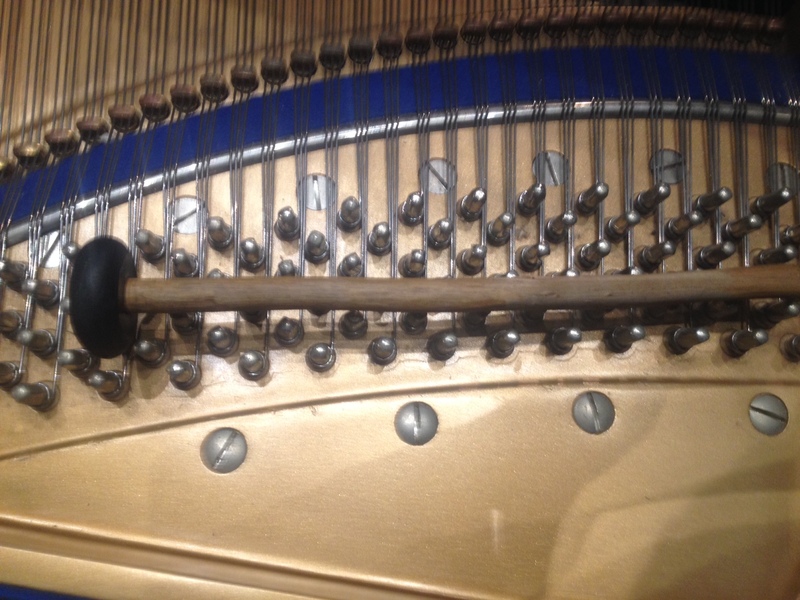 Tamara found a combination of a rubber mallet with a wooden handle (so she didn’t have to switch mallets during the performance).